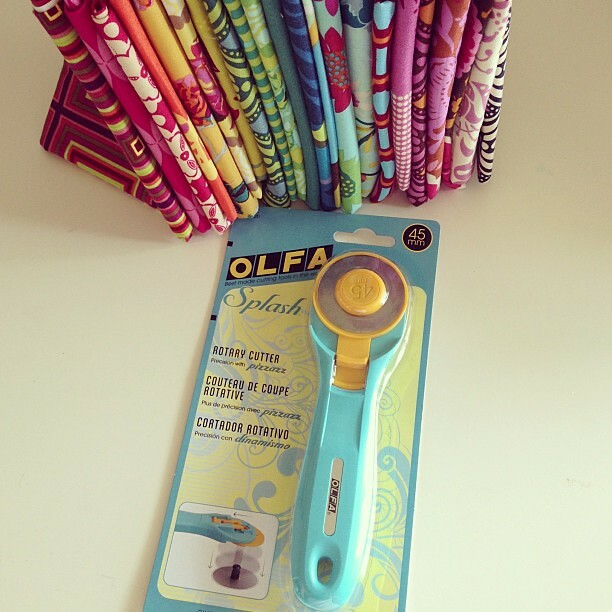 The winner of the Olfa rotary cutter is Cheryl of Ladybug Lane! Congrats! I received this AWESOME package from Melissa!!!! I was thrilled, over-the-moon, so in love with everything! You can see a more up close picture of her beautiful hand quilting HERE. 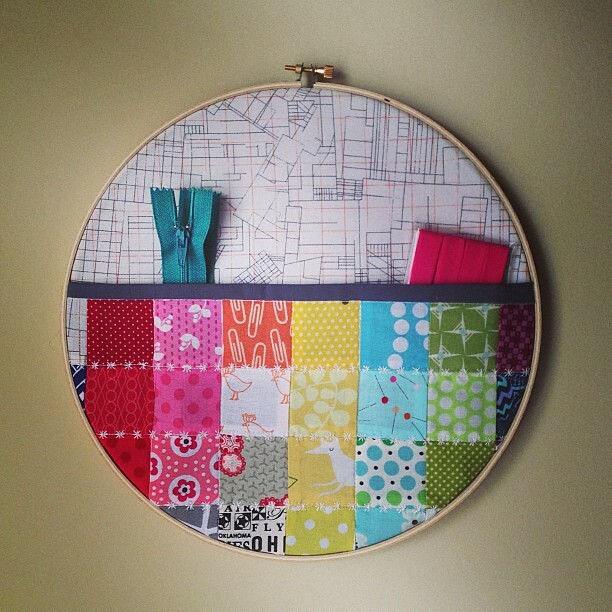 Look at the adorable storage hoop!!!! 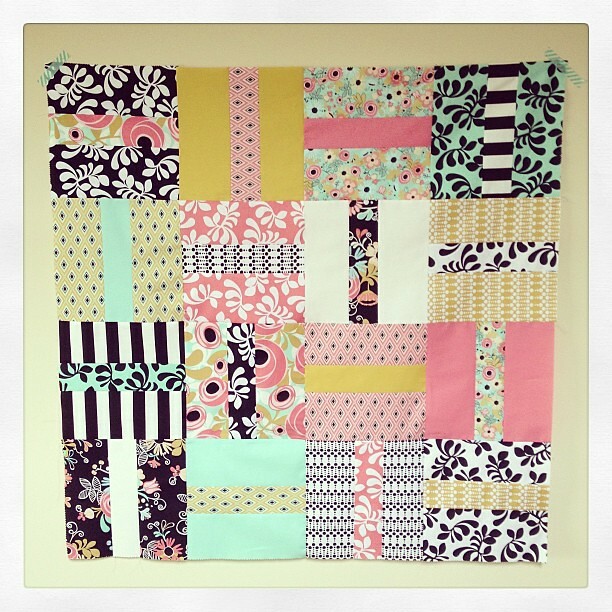 I made this quick baby quilt last week when I was procrastinating cleaning my house. :) ha ha! It's just (16) 10" squares that I cut out a 3" strip, assembled back together, then trimmed. Easy peasy! This quilt! I love the triangles, but, to be honest, I really stink at getting the points to look pretty and meet up. Oh well! There is always room for improvement! Hopefully I'll get better the next time! 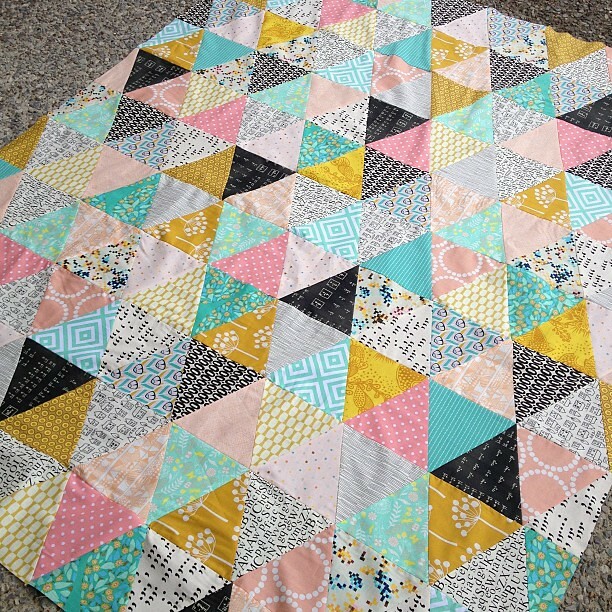 The sherbert colours of your triangle quilt, with the addition of the black are wonderful. I am in love. Wow! 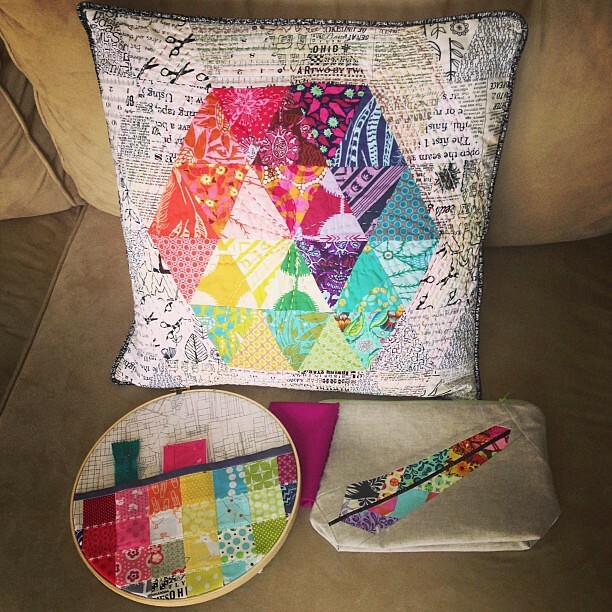 Love your triangle quilt! The colours are fantastic... i also would love to know what the math print is! The triangle quilt looks fantastic! 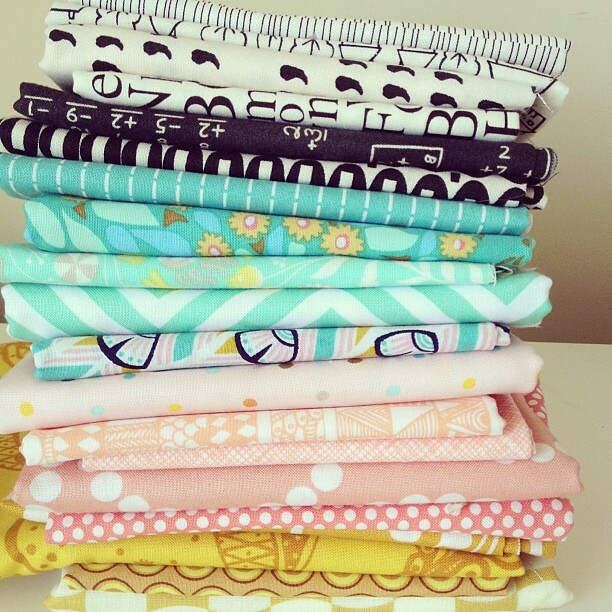 I've noticed a lot of triangle quilts lately. What kind of ruler did you use? Everything looks great to me including thr pretty triangles! I think it looks great. Out of curiosity, which triangle ruler do you prefer? 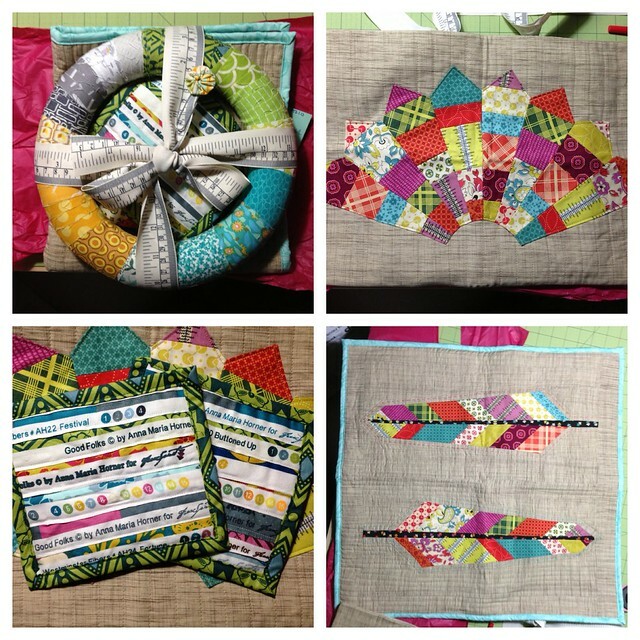 I'm gearing up for a triangle quilt and need a ruler. Thanks!